Ever imagine finding a fortune? Most of us do. Some scour car-boot sales hoping to find a Rembrandt painting tossed aside as a worthless daub, others dream of a long-lost uncle leaving them an inheritance of millions. All over the world people clutch their lottery tickets expectantly in the hope that a matching series of numbers will open the door to a world of wealth and wonder. T hese dreams live on because sometimes they do come true. In Namibia in the early 1900s a few intrepid men found a fortune in diamonds literally lying at their feet. This discovery ushered in an era of adventure, development and change that was to become, and still is, the backbone of Namibia’s economy. It all started in 1908 when Zacharias Lewala was shovelling sand from a railway line near Lüderitz and happened on a dull but intriguing stone with an inherent sparkle, one he thought could possibly be a diamond. As requested, he gave the stone to the railway inspector, August Stauch. It was indeed a diamond, and the rest, as they say, is history. The diamond rush was on and its first significant base was Kolmanskop, a mining settlement that soon became a bustling town. With money and a strong German input, the town grew to include elegant residences, a butchery, a furniture factory, a bakery, a lemonade plant, a gymnasium with a four-skittle alley, a playground and a swimming pool. 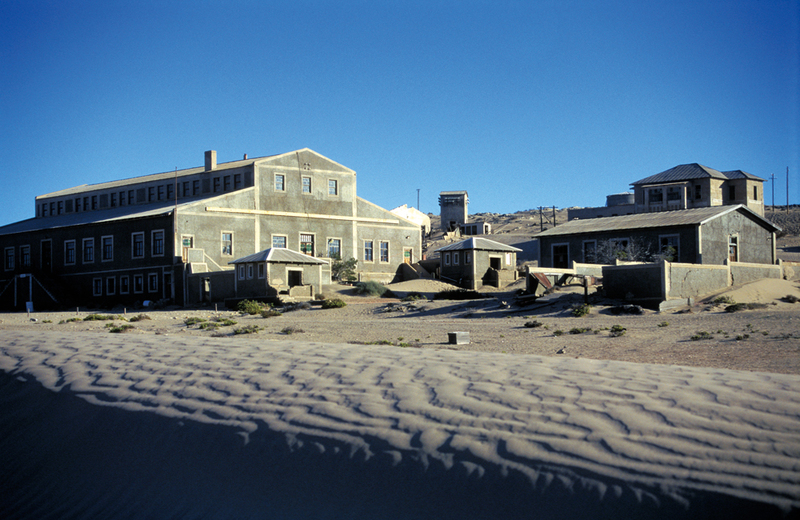 So advanced was Kolmanskop that its hospital housed Southern Africa’s first X-ray machine. The search for diamonds took off in the same year as Lewala’s find. Stauch was joined by Professor Robert Scheibe, director of the Mineralogical Department of the Royal Mining Academy in Berlin, on an exploration of the area south of Lüderitz. In a desolate valley beyond the dune belt, they discovered the richest diamond deposit ever found. The site was named Märchental, or the Fairytale Valley, as the ground was said to twinkle like stars, the diamonds littering the surface and sparkling in the moonlight. During the day, miners inched their way across the ground on their bellies, picking up diamonds with tweezers. At night they crawled into sleeping compartments that resembled coffins, in which they were locked until dawn to prevent theft. Although some diamonds may have been stolen, the bottom line was buoyant. In just twenty months of mining, the total diamond haul was one million carats. What’s more, the riches of Fairytale Valley proved to be part of a series of diamond deposits along Namibia’s southern coast that formed an immense diamond field. With this discovery, mining operations sprang up at Charlottental, Bogenfels, Meob and Conception Bay, and, a few years later, at Elizabeth Bay and Pomona. In 1908, mining activities became regulated and the first of nine companies obtained rights to prospect and mine diamonds in blocks of land that fell within the latitude of 26 degrees north, the Orange River in the south and 137 kilometres inland from the coast. At these demarcated sites, miners had to contend with extreme temperatures, strong winds and thick fogs as they began to dig deeper and pick through dirt and rock for the glittering stones. The prospectors dealt with the scarcity of fresh water by establishing a base at Grillental, where an underground aquifer fed four boreholes. Fresh water from this supply was transported to mines as far away as Kolmanskop and Bogenfels. It was well worth the effort, as the Bogenfels site alone reaped 400 000 carats of diamonds. Each new record in diamond mining was quickly succeeded by the next. Prospecting towns flourished. The largest diamonds – up to 52 carats – were found at Idatal. Trains ran, a processing plant was soon in full production and 1 500 people lived and worked at Pomona. Mining operations that began at Pomona in 1912 were taking in a monthly average of 50 000 carats of diamonds two years later. About 300 adults, 40 children and 800 contract labourers were living at Kolmanskop. In the first seven years following Zacharias Lewala’s initial diamond find, the mines of the south had produced a staggering total of 5 369 814 carats of diamonds. Seven years of mining successes were followed by seven years of uncertainty precipitated by dramatic world events. World War I began and in September 1914 British warships and troops occupied Lüderitz. Mining activities stopped for one year. When they resumed in 1915, it was under martial law. Yet by 1919 the output had risen to 462 180 carats. In 1920 production came crashing down, due to the Great Depression. In 1926, the mining industry’s roller-coaster ride peaked again with the discovery of diamonds at the Orange River Mouth, a place known today as Oranjemund, before taking a nosedive again in 1929 when the stock market in the United States crashed. 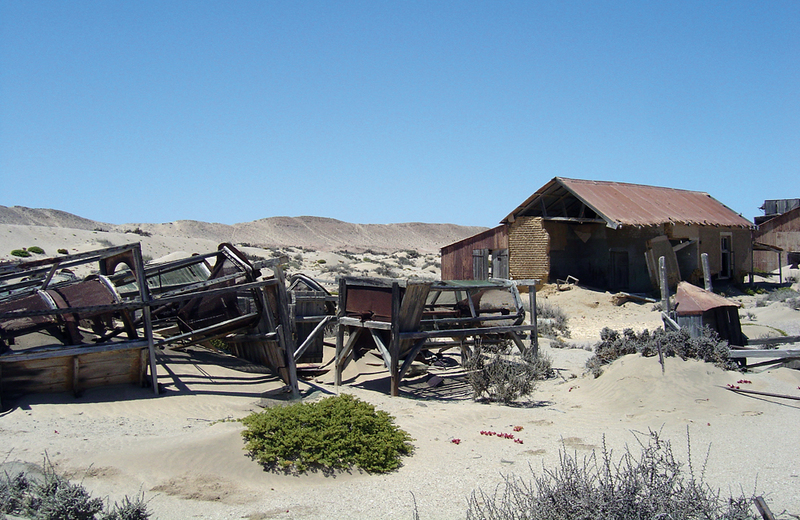 In 1930 mining ended at Kolmanskop, and a year later the mines closed at Pomona. Elizabeth Bay was mined until 1948 and Bogenfels until 1952. Today most of these sites stand as ghost towns, bearing testimony to a world where dreams of riches, briefly fulfilled, had returned to dust. Yet, due to the development of new technology, some of the old sites are being explored once again. At Bogenfels, small-scale mining operations have resumed within sight of the famous stone arch. And the shift south to Oranjemund has endured. Sixty years later, miners are still finding diamonds in the sand and sea. The area originally demarcated for mining in 1908 and known today as the Sperrgebiet encompasses 26 000 square kilometres. Today, as it was then when the diamond rush began, mining activities are restricted to just 10% of the total surface area. Those seeking their fortune are still drawn to the sand and sea around Lüderitz. 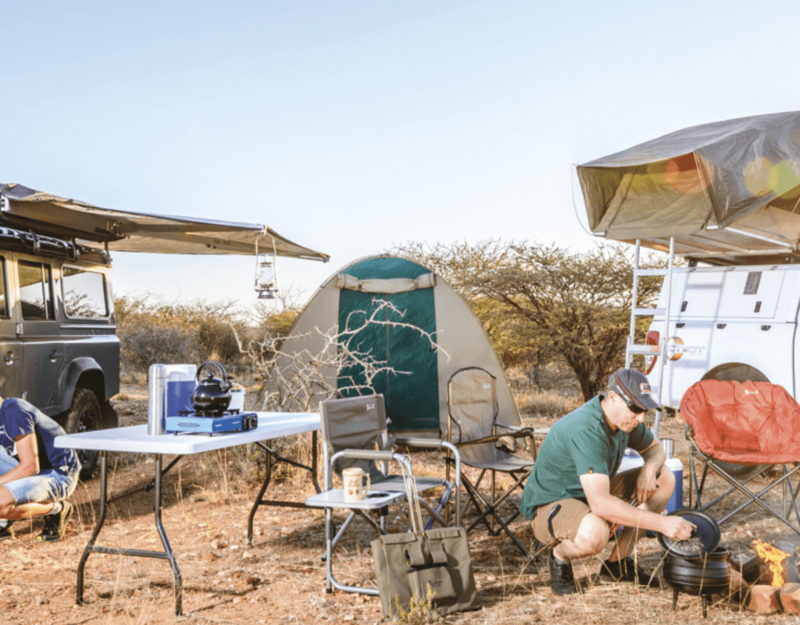 Namdeb, a diamond-mining company owned equally by the Namibian Government and De Beers, is also the world’s leading alluvial diamond-mining company. Its boats daily trawl the seas off the coast looking for diamond beds. And diamond divers brave the ice-cold Atlantic in search of the precious stones. On one day they might haul in a fortune, and the next resurface empty handed. But, then again, for diamond divers and other adventurers who dream of finding fortune, there is always the tantalising prospect of another day’s find to drive them on. This article was first published in the Flamingo January 2007 issue.